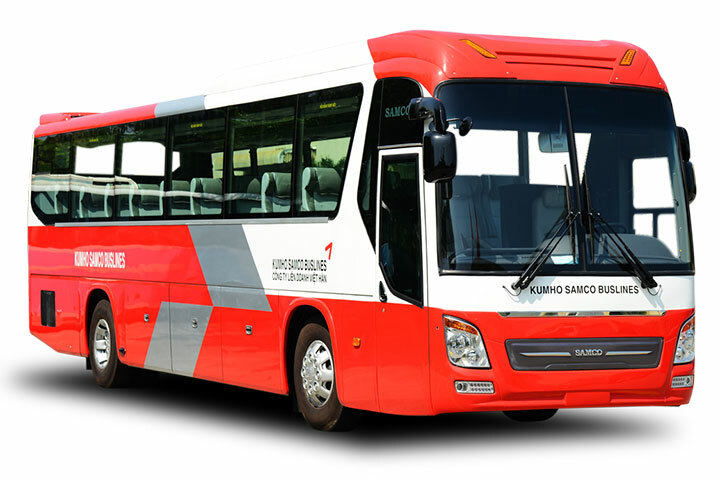 Kumho Samco Buslines officially started its operation since 4th April 2011, when the sluggish world economy affected Vietnam. However, with smart strategies and the capability of the Board of Directors, Kumho Samco Bus continues to evolve and has become one of the prestigious brands in the passenger transport field in a short time. Besides opening doors to help bring more job opportunities for the locals, the company’s friendly approach has helped Kumho Samco Bus to win the trust of many Vietnam consumers. You can book your Kumho Samco bus ticket through Easybook with ease. As soon as the company was established, Kumho Samco Buslines has acquired over 40 high quality buses for their fixed routes namely Ho Chi Minh – Phan Thiet, Ho Chi Minh – Vung Tua, as well as Ho Chi Minh – Buon Me Thuot. Kumho Samco Bus has also opened new routes of Ho Chi Minh – Rach Gia – Ha Tien, Ho Chi Minh – Phnom Penh (Cambodia) with more than 160 trips per day in total. 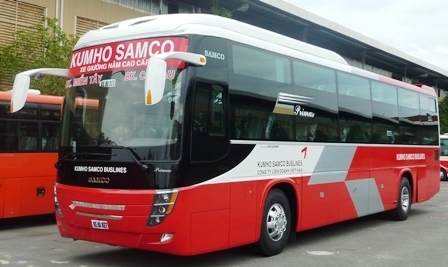 On top of expanding Kumho Samco Buslines’ operations to Phnom Penh, Vung Tau, Buon Me Thuot, provinces in Western Vietnam and others, they are also enhancing their services for tourists, contracted customers, goods transport, express deliveries, transporting employees working in industrial zones. The operator is also providing shuttle service between Tan Son Nhat Airport and hotels in Ho Chi Minh City. Even by having the advantage of owning large number of buses and having strong financial capabilities, Kumho Samco Buslines is able to satisfy your transportation demands that was built together with young and enthusiastic staff members to create a rich experience for travellers. Even though it has only been operating for over 5 years, Kumho Samco Bus has affirmed its position as they continue to expand and develop in the future to meet the needs of the passengers. Have an enjoyable ride and soak in all the great views when you travel by bus with Kumho Samco because it is all about creating new memories. Easybook will help you purchase your bus ticket online within a few minutes, so get on it now!